Android Reborn – Indeed, there are many things we can benefit from using Android. However, have you been aware of this? Android is an open source platform. Being such platform, it makes malwares and virus enter the phone easily. These malwares and virus come from unwanted apps that are automatically installed on it. How to stop apps from automatically installing then? Let us tell you the way here. It must have been annoying to have unwanted apps installed without you even giving permission to it. When it comes to automatic installation though, it might come from the Settings, Google Play, news apps, rogue apps, advertisements, etc. This time, let us tell you how to deal with automatic installation of apps from the phone’s Settings then. This is the first way of all you need to do. You don’t have to worry. Even when it has become quite a problem, Android has never made things difficult for you to stop unwanted apps from automatically downloading. You can manage things from the Settings. Sometimes, app installation itself does lead to ads and unwanted apps after all. Here is how to fix this automatic installation. Even when you have done that, we suggest you to back up your important data and format memory card once in a while. 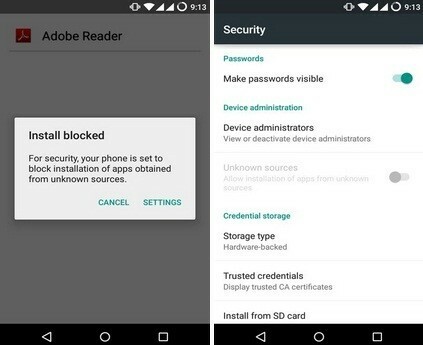 Doing so will help you boost the speed of your Android device, while offering malware free to you. You can do these right away if that way above does not work at all on your phone. See? Stopping automatic apps installation does not have to be so confusing and difficult.